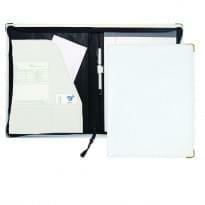 1" ring binder. 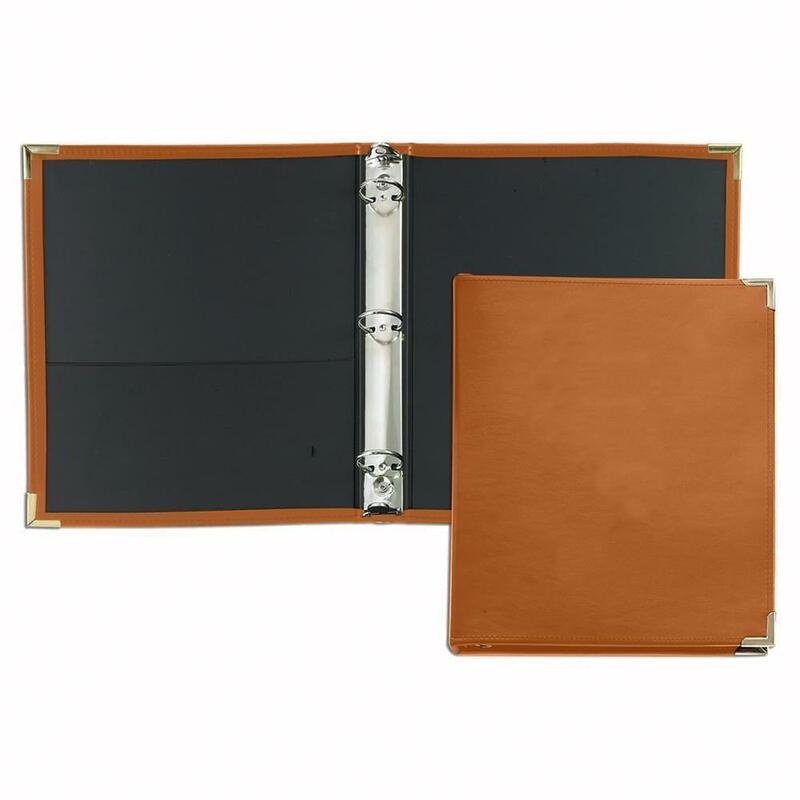 Features flex board cover, horizontal pocket (inside front), black suedene lining, concealed rivets, nickel 3-ring metal, silver square corners are standard gold is available upon requests. 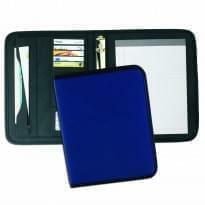 Dimensions (Inches): 10 Width x 11.5 Height x 1.5 Spine. Packed 21 units per 24 lb. carton.